Home Our Faculty and Staff Our Faculty David D. Tran, M.D., Ph.D.
David D. Tran, M.D., Ph.D. is Chief of the Division of Neuro-Oncology in the Department of Neurosurgery and Associate Director of the Preston A. Wells, Jr. Brain Tumor Center at the McKnight Brain Institute of the University of Florida College of Medicine. Dr. Tran received his B.S. degree in biochemistry with research distinction from the University of Washington Honors Program in Seattle in 1996. He was awarded a full scholarship in the prestigious NIH-supported Medical Scientist Training Program at the Mayo Clinic College of Medicine and received his M.D. degree and Ph.D. degree in immunology in 2005. He then joined the highly competitive Physician Scientist Training Program at Washington University School of Medicine in St Louis and completed residency training in internal medicine in 2007 and a joint clinical and research fellowship in Oncology and Neuro-Oncology in 2011. Subsequently, he stayed on the faculty of Washington University and served as its Director of Neuro-Oncology from 2011 to 2015. 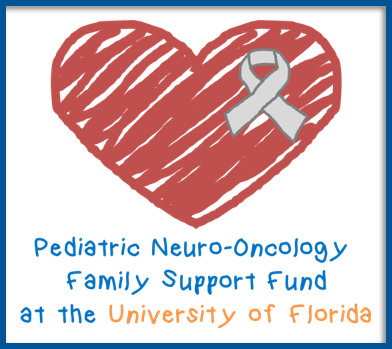 In the spring of 2015, Dr. Tran was recruited to the University of Florida as a preeminent faculty. 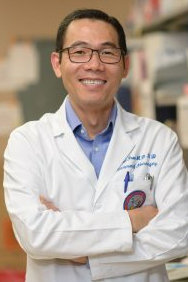 Dr. Tran has received many honors and awards from the Unites States Department of Defense, the National Institutes of Health, the Florida Department of Health, Conquer Cancer Foundation of the American Society for Clinical Oncology, the Mallinckrodt Foundation, the Elsa U. Pardee Foundation, and the Cancer Frontier Fund. Dr. Tran is passionate about caring for patients with complex brain and spinal cord tumors, and is committed to finding the cure for malignant gliomas. He is a leader in Precision Medicine in Neuro-Oncology, and a past voting member of the Brain Tumor Practice Guidelines Panel of the National Comprehensive Cancer Network. Dr. Tran is a National Cancer Institute-funded investigator of innovative research into the cause of cancer progression and the development of novel precision therapies for brain and breast cancers, including immunotherapy, gene therapy and cancer stem cell therapy. He has authored and co-authored many seminal national and international publications in cancer research, and serves as the principle investigator of several national clinical trials testing novel treatments for brain tumors. Watch Dr. Tran discuss how he got interested in brain cancer and what new research can do to end the disease.